Tyre review data from 240 tyre reviews averaging 80% over 1,704,405 miles driven. No there isn't. Unlike the Rainsport 2, the Rainsport 3 is an asymmetric tyre, not directional tyre. This means the tyre has an "inside" and "outside" to be mounted on the wheel, but once mounted the wheel and tyre can go on either side of the car. The Uniroyal RainSport 3 is an excellent midrange tyre. It should have a similar level of wet grip to a premium Michelin tyre, however we would expect the Uniroyal to wear more quickly. This should have been offset by a cheaper purchase price. 2018-07-19 - I need a set of tyres for my 2010 FIAT Bravo 1.4 90HP, right now I'm using the Barum Bravuris 3HM I'm living in Greece in a mountainous area with lots of rain between the seasons, but I'm also covering long distances around Greece in motorways, After reading lots of reviews on your site, I decided that the perfect match for my car are the Uniroyal Rainsport 3. But the DONLOP Sport MAXX RT and the YOKOHAMA ADVAN FLEVA v701 have olsa grabbed my attention, I'm not sure which one to go with I would appreciate any advice form you between the three sets of tires I've mentioned above. The Uniroyal RainSport 3 will likely give you the best wet weather performance of the three, but will likely wear slightly quicker than the other two. If rain is the primary issue, I would suggest going with the Uniroyals. As long as you can find the correct size and load rating, it is fine to fit the RainSport 3 to your Tiguan. Available in 80 tyre sizes - View all. Fitted these to my wifes Mini clubman S as I had previously had them fitted to my Audi RS4. They are an excellent tyre for the money and few tyres can match them in the wet. Road noise is also very good on them. Like all tyres what works on one car doesn't necessarily mean it will work for all, but at the cost of these they are well worth going for. The rate of wear is a little high, but then its a soft compound that enables high grip levels and its this that leads to the wear rate. You could spend twice as much on a Michelin PSS or just buy 2 sets of these IF you find they wear out quickly. I still find it staggering that people put wear above grip. Frankly I'd rather know that when I take a corner in the wet or dry, or when I hit the brakes hard (in an emergency for instance) that my tyres will not brake traction. These tyres will out perform alot of higher priced tyres, and will out perform alot of similarly priced tyres that have lower wear rates. Have you driven on the Uniroyal Rainsport 3 tyre? 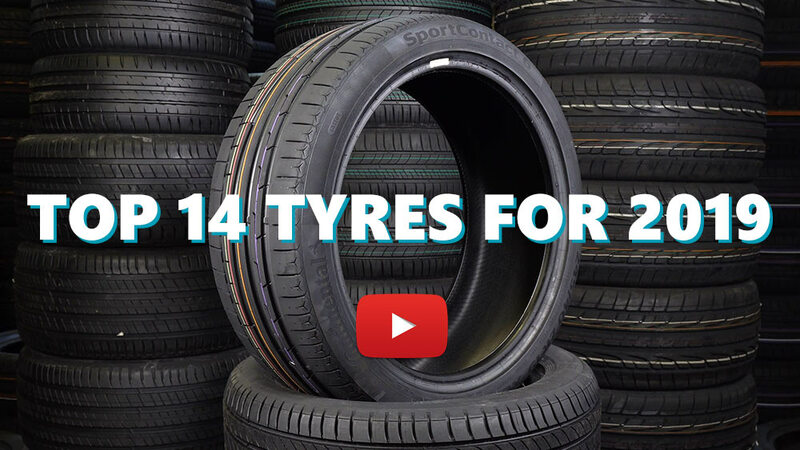 Please help millions of other drivers make an informed tyre choice and pick the correct tyres for their car by submitting your review of the Rainsport 3. In my opinion Uniroyal Rainsports are the very best value you can buy. The wet grip is phenomenal, and tyre really are a great all round tyre. I feel confident every time I get into the car. I have been using these tyres, and their predecessors, the Rainsport 1 and 2 for the past 8 years. I guess you could call me a fan! Awesome in the wet. Pretty good in the dry too. Use these as my daily tyres and also wet trackday tyres which is where they really show how well they perform in the wet. Since seeing me use them several other friends have boght a set for use on track. The only downside is they are quite a soft tyre and I managed to wear them out quite quickly but the driving was very spirited. I have however had over 10k miles out of a set with more steady driving. Overall a good tyre but keep in mind that it is a very very heavy wear prone tyre. Just driven on (starting to go slushy) show for the first time since buying these tyres and they are exceptionally good. Almost as good as proper winter tyres. fitted to the front of a volvo v70 estate,what a mistake!!!!! bought as a result of "good" reviews,like driving on a noisy bag of custard.WILL NEVER BUY THESE AGAIN.